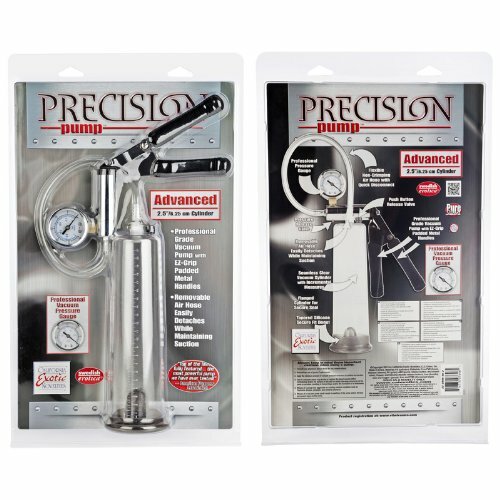 Precision Pump 9.5" X 3.25"
California Exotic Novelties Precision Pump Advanced, Clear the perfect pump for the first time or advanced pumpers American Pumpers Association. 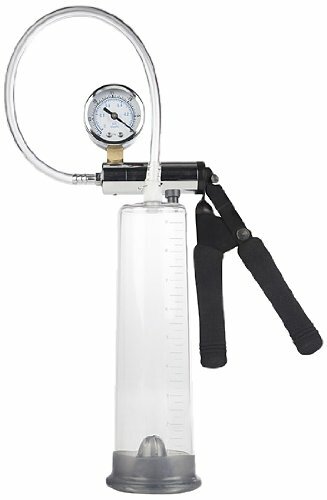 Top of the line, fully featured the most powerful pump we have ever tested! American Pumpers Association. 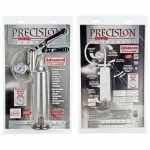 Professional grade vacuum pump with universal incremental measurements. Pressure release valves on pump and cylinder. Seamless clear vacuum cylinder with universal incremental measurements. 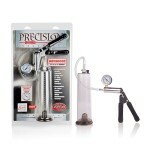 Professional vacuum pressure gauge. Flexible non-crimping air hose. Flanged cylinder base for secure vacuum seal. Tapered removable Silicone secure fit donut. Removable air hose detaches while maintaining suction. 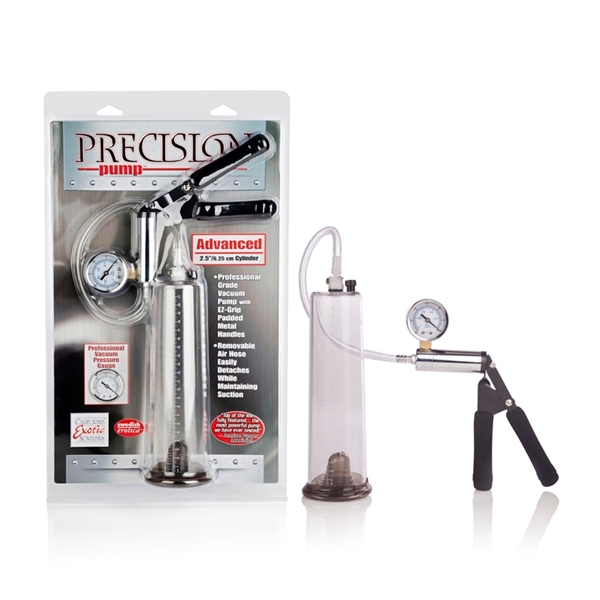 PS cylinder, Phthalate-Free PVC hose, Silicone donut, PU handle grips, ABS plastic pump release button, disconnect valve, Copper and Silicone handle, release button, Iron handle Iron and Copper gauge, Iron and POM disconnect lever. Bulk weight 22.6 ounces. 9.5 inches by 3.25 inches cylinder. Updated March 30, 2014.